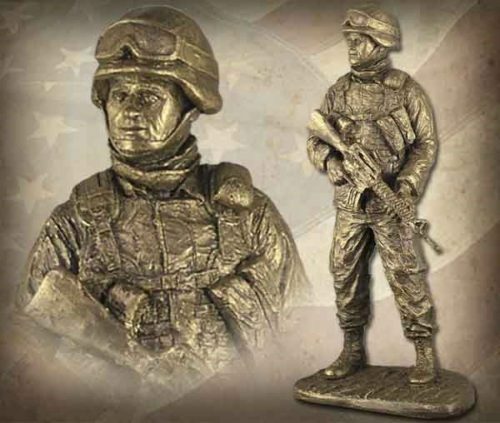 This handmade sculpture by Michael Patrick Garman honors the brave soldiers of the United States Military who answer the call to duty to fight for our freedom and security. 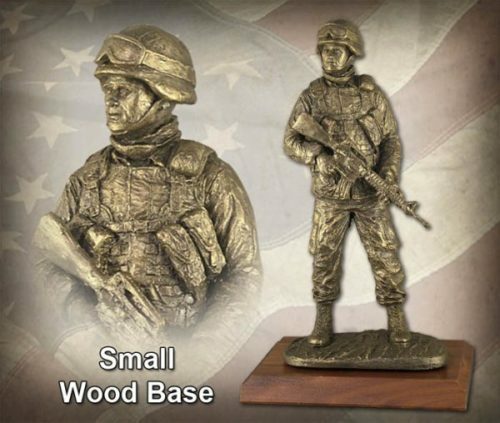 Sculpture measures 10.5″ tall. ©2003. Bronzetone finish. #MG120. Upgrade your sculpture with a wood base. See suggested wood base options below.